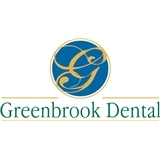 Glenbrook Family Dental (Glenview) - Book Appointment Online! Our friendly, gentle and highly trained dental professionals are here to serve you and your family's oral health needs. Using the most advanced techniques and modern dental equipment our oral health care providers are able to offer optimal care to all patients. Our main goal is to provide excellent care to improve your overall health and to achieve that beautiful smile. We strive to give individualized attention making you the priority, and by making a trip to the dentist a most pleasant one. I wish I had gone to her before. No prombles and no pain. I feel very comfortable with Dr Kim. Thank You Very Much for your service.